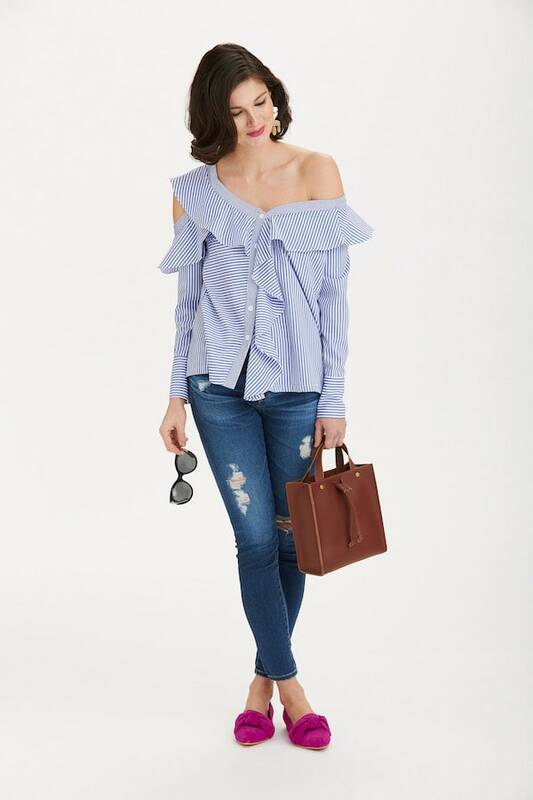 The thing we love about a great statement blouse is that it yields maximum impact with minimum effort. It’s no harder to throw on than a T-shirt, yet it adds so much more to even your most basic jeans and flats. 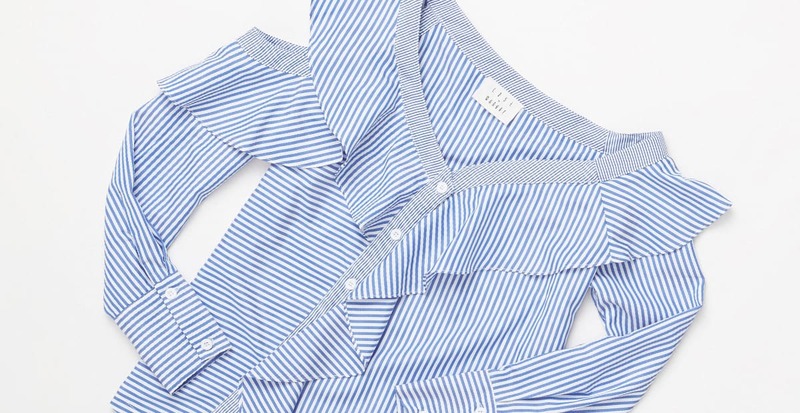 And actually, a statement blouse is more versatile than you’d think. Check out five completely different ways to style one for a fresh look every time you wear it. An outfit you can be sure of, even when you’re not sure where the day will take you. The denim and the jacket keep it casual enough for shopping, but heels and statement jewelry add just the right amount of sophistication for an impromptu dinner with friends. Who says work clothes and weekend clothes have to be seperate? Adding a statement top to this otherwise traditional work outfit infuses just the right amount of personality. If you have benedicts and bottomless mimosas in your future, don’t dawdle over what to wear. Slip into some jeans and flats, then finish the look off with bold earrings. Easy-peasy, eggs over-easy. Statement tops tend to feel feminine, but that doesn’t mean they have to be girly. 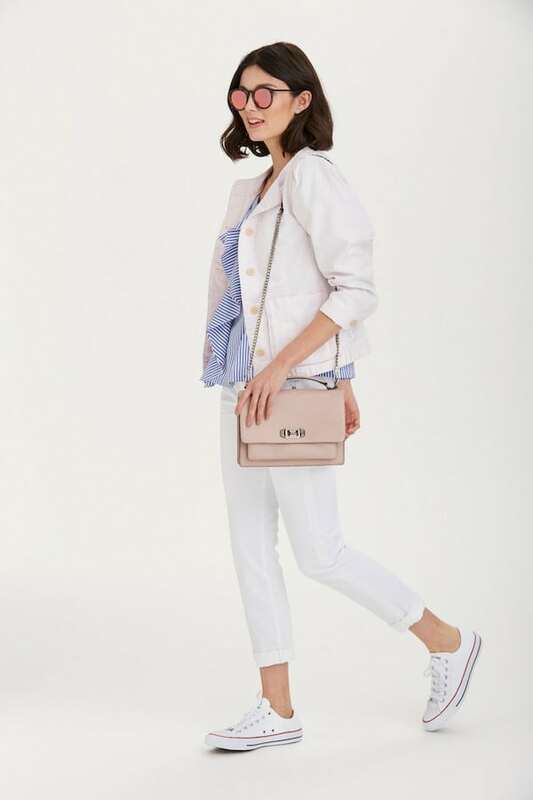 Style one with jeans and sneakers for a vibe that’s chic, sporty, and comfy enough for walking around. For those moments when you want to look special but also feel comfortable, you can’t go wrong with modern twists on classic pieces. 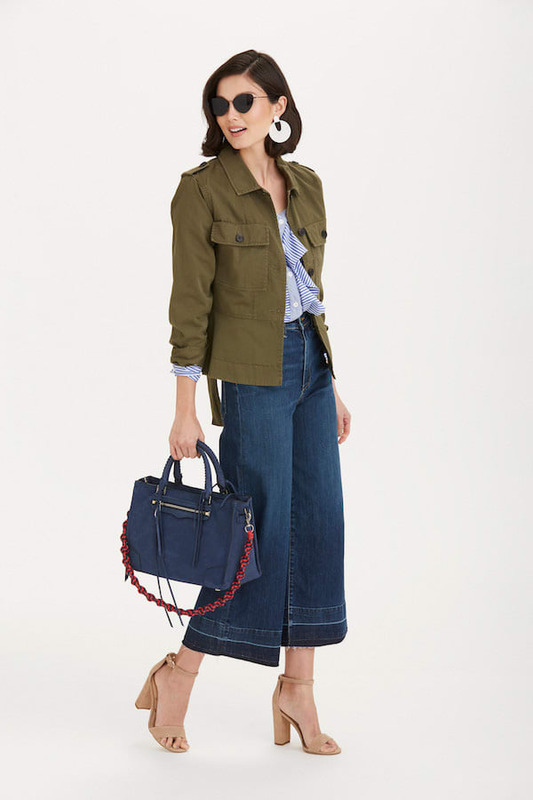 Start with a basic black trouser, then add a moto jacket, mules, and a crossbody in unexpected colors or textiles.